Rustic yet refined, the Monae is the epitome of handcrafted beauty. Handsomely adorned with a braided harness strap and tassels, it's rugged good looks can't help but impress the footwear afficianado. Pull it on and let your feet take refuge in the unbelievably comfortable interior. The shoe heel height is measured from the back of the heel to the bottom of the heel plate. Unless specified in the description, "leather" can refer to a variety of skins, including, but not limited to, cowhide, pigskin and lambskin. The boot shaft is measured from the top of the heel to the top opening of the boot. 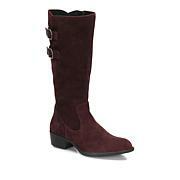 Avoid wearing your suede leather item in rain or in very wet conditions. If your suede product gets wet, simply blot it dry with a clean towel of similar color. 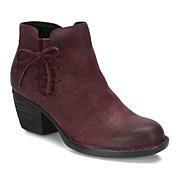 Any bright- or deep-colored suede item could transfer its color to other items. 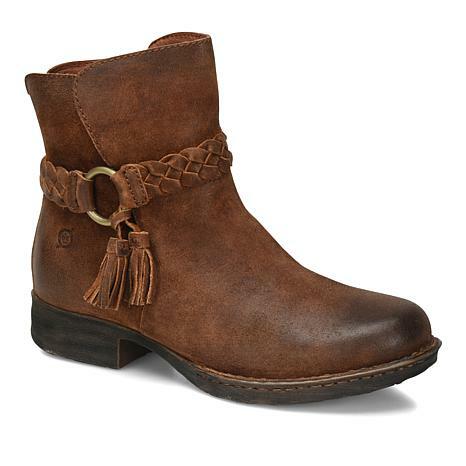 I am thrilled with my Born Suade Ankle Boots with the tassels on the zippers. They fit right and felt perfect from the fiest time I tried them on! Just Awesome!!! Love these boots. Run true to size. And super comfy. Sized perfectly. Easy on and off. Feel really solid and well built but stylish too. Love these boots. I must have tried on 50 pairs before I bought these. Comfortable, Beautiful and and fit true to size. These are amazing! Even better than described! I have about 100 pairs of booties, and these are the ones that I use most often. The gray goes with most casual outfits that I own, they are both beautiful and comfortable. 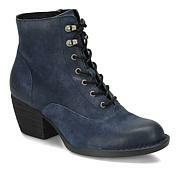 I also have plantar facitis in my heels and it does not flare up after wearing these beautiful boots. I highly recommend. Worth the money! True to size. Handcrafted with age-old European techniques, Born shoes are famous for their comfort and down-to-earth style. Easy-care, full-grain leather uppers and other natural fabrications help provide an earthy, all-natural look and feel. Shoes feature handsewn opanka construction, an old European technique that handstitches the upper leather sock lining and the sole simultaneously for exceptional flexibility. Perforated leather sock linings keep your feet dryer and cooler. And the Trampoline™ Bounce-Back Cushioning System makes you feel like you’re walking on air! Remind me about Born® upcoming shows.